Israel, deep into captivity, finally repents as a nation. They begin this prayer, which takes us to the end of the chapter, asking God to reveal Himself to them again as in days of old. They recognize that He is in heaven; that He is holy. They seek His power and His zeal to protect His people. “The sounding of Thy bowels” is a phrase that could compare to “the sighing of the heart.” It was believed that emotion was seated in the organs of the chest, and the word bowels was included in that concept. It seems strange to us, but it was a common expression of emotion. The main thing here is that the people felt that God was holding back His mercy and compassion from His people. Continuing on His theme of recalling Israel’s history, and of leading them out of Egypt, God compares them to a sure-footed horse as He led them through the wilderness, making sure they would not stumble. Along the way, God provided rest for them just as He did the beasts of the forest. 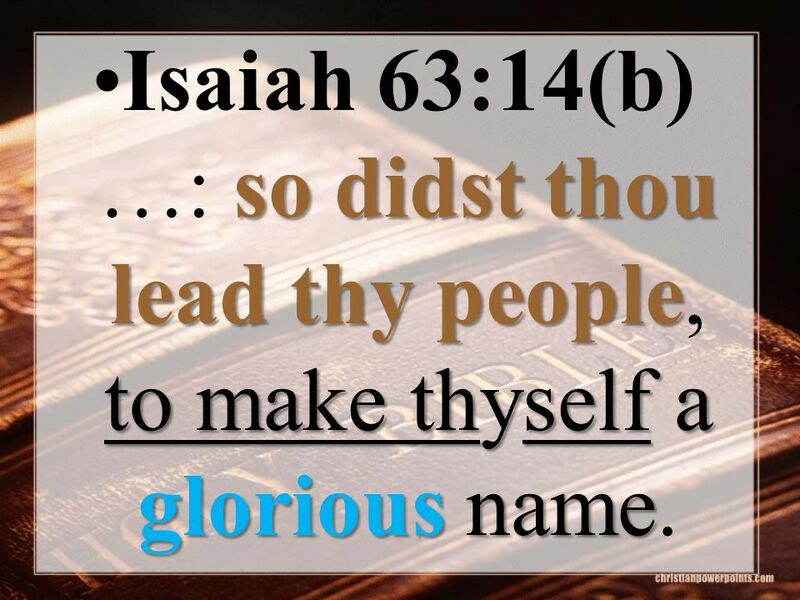 He took such good care of His people because He had a greater purpose for them, as He had promised them; He would, through them, make His Name glorious throughout the earth. These last few verses are a fascinating combination of God’s history with Israel as well as His planned future for them. I am reminded again that God is not bound by time, as we are. He has no calendar to restrict His plans. He knows the beginning and the end, as well as all the activities between. For Him, a day is like a thousand years, and a thousand years as a day (II Peter 3:8). Even though God had removed His arm of protection from His people time after time, because of their sin and rebellion against Him, and they were scattered among the nations in the last days, God would call to remembrance His covenants and deal with them again (Lev. 26:33-43; Deut. 30:1-10). 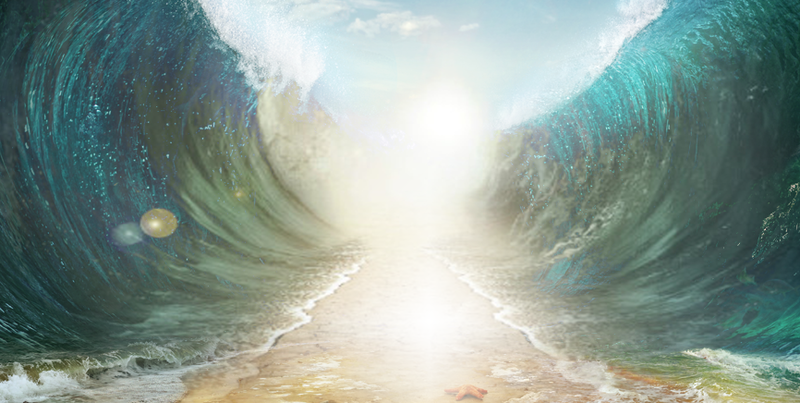 God would remember how He had led the people up out of Egypt by His shepherd, Moses; how, with the strength of His mighty arm he had parted the sea to provide the people safe passage to the other side, allowing the waters to crash back together and drown the Egyptian army. At the end of v. 11, God again refers to His Holy Spirit, which He placed in Moses; again, an Old Testament reference to the existence and activity of the Holy Spirit long before the events of the Day of Pentecost. If you are a parent, or have a close relationship with any child, you know that when that child is sick, feverish, just miserably uncomfortable, that you don’t get much sleep either. You want to just wave the illness away with your Magic Mommy Wand. And that’s just for a minor illness. When a child has a serious illness, you suffer every moment of it with him. That’s how God felt when His people, His children, turned their backs on Him and ended up in terrible trouble. He felt every moment of their trial, and His heart ached for their reconciliation with Him. Time after time. Their disobedience was not just a passing thing. It was a burden to the heart of God. Second, it vexed His Holy Spirit. This is important because it indicates that the Holy Spirit was present with God right from the beginning. Some believe that the Holy Spirit showed up for the first time on the Day of Pentecost, but that is not the truth .He was there when Jesus was baptized at the beginning of His ministry. He has always been present as part of the Trinity. And, as part of the Trinity, He could be vexed at the disobedience of God’s people. Finally, “He fought against them.” I never really considered the absolute clarity of this verse. When His people had become so full of sin, self, idolatry, and the things of the world, He was no longer going to protect them from being conquered and captured. In fact, He fought against them. I don’t ever want to vex my God to the point that He will no longer protect me, fight for me. In fact, I don’t want to vex Him at all, because I love Him. We need to look carefully at our lives, into our hearts, into our motives. Every time Israel fell to an enemy, it was not a sudden thing. It was a slow decline into sin, idolatry, immorality; of identifying themselves with the nations around them, and becoming more like them, and less like God. This week I was introduced to another WWII heroine that I’d never heard of before. 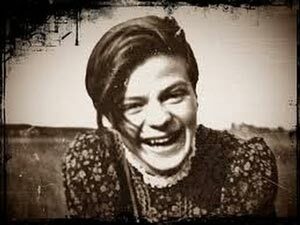 Sophie Scholl was part of an underground movement called The White Rose. She was eventually caught, interrogated and put on “trial,” and then led almost immediately to her execution. She never faltered, never backed off her stand against the tyranny of the Nazi party, and she went to her execution with calm courage. There is more persecution of Christians going on all over the world today than we are aware of. Satan’s hatred of God and of all who love Him is unabated since he was tumbled out of heaven. He has never stopped in his efforts to destroy what God loves. He never will, until he is finally consigned forever to the Lake of Fire. He knows what his end will be, and he wants to take as many souls with him as he can. I’m in the closing chapters now, on this blog, in the book of Isaiah. Much of it concerns the final reconciling if Israel to God, after so many centuries of their cycle of obedience, disobedience, idolatry, persecution, and restoration. I’m reading a lot about the Millennial Kingdom, and it’s so exciting! 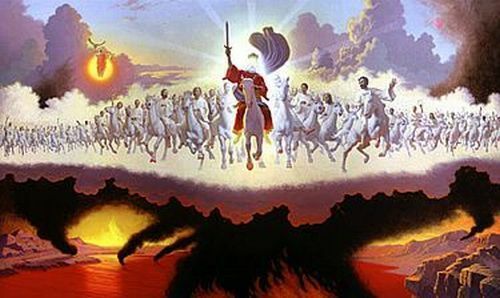 i am thankful to know that those who are believers at the time of the Rapture will not have to go through the horrors of the Tribulation, and that after Armageddon, Satan will be finished. Many, many people will come to Christ during the Tribulation, and will be martyred for their faith. But they will triumph, with Him, in the end. I have to admit that the longer I live, the more I look forward to that day, when all the troubles and trials will be forever ended and Jesus will be the light of heaven for all eternity. I will mention the loving kindnesses of the Lord, and the praises of the Lord, according to all that the Lord hath bestowed on us, and the great goodness toward the house of Israel, which He hath bestowed on them according to His mercies, and according to the multitude of His loving kindnesses. If you look closely, you will see that the foundation for the beauty of the island is an open Bible. I like the symbolism of that. If Israel had paid more attention to the open Word of God, perhaps their restoration to Him wouldn’t have been so long in coming. Perhaps some of their suffering could have been avoided. But now, in the Second Coming and the Millennial Kingdom, there will be nothing but praise and love for God’s care over them down through the centuries, in preserving them as a nation although they have scattered to every corner of the earth. 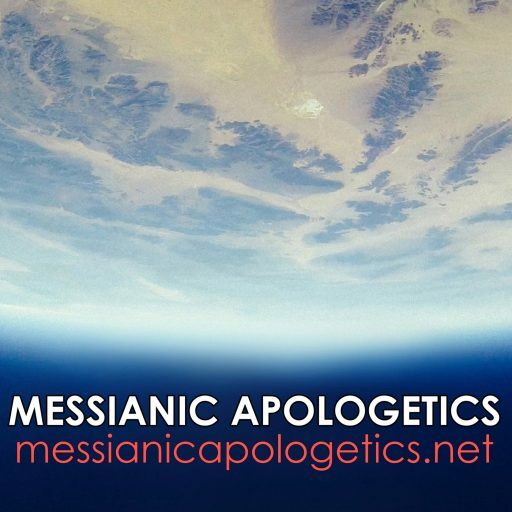 In this section, Messiah is predicted to mention the many past mercies of God to Israel, the people He will come to deliver from their enemies in that day. This passage makes clear that no human leader was able to rise up against AntiChrist; no one else could stand against AntiChrist and overcome him. God, through His Son, the Messiah,would bring Israel to its senses and save those that would submit to His program. To do this He would take the armor of righteousness and salvation, and the garments of zeal and vengeance (59:17), In the fulfillment of this saving of the nation, God will have to judge those worthy of judgment and save those worthy of salvation, as well as punish the enemies of Israel according to their deeds (59:18), This will bring about the salvation of Israel, and the fear of and glory to God’s Name in all parts of the earth (59:19). Verse 6 describes the complete fall of the enemies of God. He will completely destroy those who would dare to stand against Him, and their power will become useless against Him. He will “bring down their strength to the earth”– a complete and total humbling of the mighty AntiChrist and all his followers.